In my second post on physicist Sean Carroll’s recent video, Is God a Good Theory?, I’d like to respond to his criticisms of the fine-tuning argument. As we’ll see, Carroll misconstrues the evidence for this argument, leading him to incorrectly conclude that the multiverse hypothesis explains that evidence just as well as the hypothesis that there is a God. Carroll also argues that the early universe’s low (but non-zero) entropy renders the existence of God vanishingly unlikely. I would argue that on the contrary, there is a special reason why the entropy of the early universe has the low, non-zero value it has, and that this can be best explained by the highly plausible hypothesis that God not only wants to make a universe containing intelligent beings, but wants those beings to be aware of His existence. An artistic depiction of the multiverse. Image courtesy of Silver Spoon and Wikipedia. 3. Selection within a multiverse. So for Carroll, it comes down to: God or the multiverse. Does Bayes’ theorem favor God or the multiverse? In order to decide which answer is correct, Professor Carroll turns to Bayes’ Theorem (see here and here, and see here for an intuitive explanation). The theorem can be expressed in this way. Suppose we have a hypothesis H. It might be the hypothesis that God exists. Or, it might be the rival hypothesis that the multiverse exists. Now, some hypotheses are inherently more likely to be true than others. So before we even look at the evidence, we might try to estimate the prior probability of our hypothesis being true. Then we get a piece of evidence E that seems to provide some confirmation for our hypothesis. On Professor Carroll’s account, this evidence is simply the fact that the cosmos contains life. Now we want to quantify how much confirmation the evidence provides for our hypothesis. To calculate that, we first need to figure out how likely we would be to find that evidence, if our hypothesis were true. We also need to know how likely we would be to find that evidence, regardless of whether our hypothesis were true or not. We can then divide the first likelihood by the second, to obtain a number which I’ll call the confirmation factor, C. Basically, it’s a measure of how much more likely to be true the evidence renders our hypothesis. Using Bayes’ Theorem, we can now calculate the posterior probability that our hypothesis is true, given the evidence. It’s simply the prior probability multiplied by the confirmation factor C.
where P(E|H) is the likelihood of our finding that evidence, if our hypothesis were true, and P(H) is the likelihood of our finding that evidence, regardless of whether our hypothesis were true or not. According to Carroll, the evidence E for God’s existence is simply the fact that the universe contains life. The two rival hypotheses which have been put forward to explain this evidence are: (i) the hypothesis that God exists and (ii) the hypothesis that our universe is just one of countlessly many, inside a larger multiverse. Let’s call these hypotheses H1 (God) and H2 (the multiverse). To prove that God is a better explanation than the multiverse, we need to do one of two things, according to Carroll. Either we need to show that God’s existence is inherently more likely in the first place than the likelihood of there being a multiverse (or in mathematical terms, the prior probability of H1 is greater than that of H2), or we need to show that the existence of life provides greater confirmation for the hypothesis that there is a God than it does for the hypothesis that there is a multiverse. Let’s look at each of these in turn. How does the prior probability of God stack up against that of the multiverse? Carroll argues that we should give a higher prior probability to theories that seem more powerful, simple or elegant. I have already critiqued this claim in my post, Does scientific knowledge presuppose God?, where I argued that the prior expectation that simple theories are more likely to be true is unwarranted, unless we assume the existence of a God Who favors simplicity. Nevertheless, I was prepared to accept a restricted version of this claim: theories which invoke only a few entities in order to explain the facts are more likely to be true than theories which invoke a lot of entities. This is what Occam’s razor states. Carroll then proceeds to compare the inherent plausibility of the two rival hypotheses: God and the multiverse. Carroll realizes that for many people, the existence of God makes a lot more sense than the multiverse hypothesis. In the first place, it seems much more plausible to believe in one God than in a multiverse containing a very large number – at least 10^500, and perhaps an infinite number – of universes. Hence the prior probability of the multiverse is very low. And in the second place, the striking fact that our universe contains life is more probable given God’s existence than it would be otherwise. In other words, what I’ve called the “confirmation factor” is higher for the God hypothesis than for the multiverse hypothesis. So, it seems that God wins hands-down. Right? Not so fast, says Professor Carroll. First, he criticizes the common view that the prior probability of the multiverse hypothesis is very low, by pointing out that the multiverse is not, strictly, speaking, a theory, but an entailment of other theories. The laws of physics, he says, predict the existence of many other universes. String theory plus inflation, when taken together, automatically imply the existence of a multiverse. Thus although the hypothesis that there exist zillions of other universe appears wildly extravagant at first sight, Carroll argues that it isn’t, since its existence follows automatically from just a small number of physical principles. Finally, Carroll points out that while we have some grasp of the multiverse, we have no grasp whatsoever of the concept of God. Carroll contends that whereas the multiverse is at least a natural concept that we can get our heads around, the concept of God belongs in a different metaphysical category, of which we know nothing. Hence, he reasons, the multiverse is preferable as an explanation of reality. Carroll concludes that as ontologically extravagant as the multiverse may appear to be with its vast number of universes, the God hypothesis is much more problematic. In other words, the prior probability of the multiverse, according to Carroll, is actually higher than the prior probability of God. Which hypothesis is better confirmed by the existence of life: God or the multiverse? Next, Carroll disputes the assumption that the existence of God renders the occurrence of life in the universe more probable. He points out that if there were an infinite number of universes, then somewhere out there in the multiverse, there would be life. So the probability of life, given the multiverse, is 1. Carroll is prepared to grant that the probability of life, given the existence of God, is also 1: he can’t imagine God creating a lifeless cosmos. So the fact that there’s a universe that supports life is equally probable under either the God hypothesis or the multiverse hypothesis. It doesn’t confirm the existence of God. Professor Paul Davies, of the University of Arizona. Image courtesy of Tom Story, Arizona State University and Wikipedia. For a start, how is the existence of the other universes to be tested? To be sure, all cosmologists accept that there are some regions of the universe that lie beyond the reach of our telescopes, but somewhere on the slippery slope between that and the idea that there are an infinite number of universes, credibility reaches a limit. As one slips down that slope, more and more must be accepted on faith, and less and less is open to scientific verification. Extreme multiverse explanations are therefore reminiscent of theological discussions. Indeed, invoking an infinity of unseen universes to explain the unusual features of the one we do see is just as ad hoc as invoking an unseen Creator. The multiverse theory may be dressed up in scientific language, but in essence it requires the same leap of faith. Problems also crop up in the small print. Among the myriad universes similar to ours will be some in which technological civilizations advance to the point of being able to simulate consciousness. Eventually, entire virtual worlds will be created inside computers, their conscious inhabitants unaware that they are the simulated products of somebody else’s technology. For every original world, there will be a stupendous number of available virtual worlds — some of which would even include machines simulating virtual worlds of their own, and so on ad infinitum. Taking the multiverse theory at face value, therefore, means accepting that virtual worlds are more numerous than “real” ones. There is no reason to expect our world — the one in which you are reading this right now — to be real as opposed to a simulation. And the simulated inhabitants of a virtual world stand in the same relationship to the simulating system as human beings stand in relation to the traditional Creator. Far from doing away with a transcendent Creator, the multiverse theory actually injects that very concept at almost every level of its logical structure. Gods and worlds, creators and creatures, lie embedded in each other, forming an infinite regress in unbounded space. I’d now like to explain why I think Dr. Carroll misconstrues the fine-tuning argument. This in turn leads him to draw incorrect conclusions regarding the likelihood of God’s existence. (a) Is the existence of the multiverse inherently more likely than the existence of God? As we have seen, Dr. Carroll thinks that the multiverse is a much simpler concept than is popularly imagined, making its existence more likely. Additionally, he contends that whereas the multiverse is at least a natural concept that we can get our heads around, the concept of God belongs in a different metaphysical category, of which we know nothing. Hence, he reasons, the multiverse is preferable as an explanation of reality. Putting it mathematically, the priorr probability of the multiverse, according to Carroll, is actually higher than the prior probability of God. The first point I’d like to make in response is that Caroll nowhere attempts to define the word “natural.” Without a definition of the term, his claim that the multiverse is easier to grasp than the concept of a Transcendent Deity is a mere assertion, devoid of supporting evidence. In my recent post, Does scientific knowledge presuppose God?, I argued that prescriptive rules are the relevant feature that distinguishes the category of the natural from that of the Supernatural. However, Carroll can hardly use this definition of “natural” without embracing its theistic implications: rules, by definition, presuppose the existence of a Rulemaker, and if the cosmos itself is a rule-governed object, then it must have been created by a Transcendent Rule-maker. So my challenge to Carroll is: can you define the term “natural” in a way that contains no reference to God, either implicitly or explicitly? Second, I would maintain, contra Carroll, that belonging to a separate metaphysical category does not automatically render a Being incomprehensible. All it means is that such a Being is not subject to the limitations that apply to our own metaphysical category. For instance, if prescriptive rules are what distinguishes the category of the natural (as I have argued), then a Transcendent Being is not subject to such prescriptive rules. Now, if a concept contains built-in limitations, then of course, it cannot be meaningfully applied to a Transcendent Deity. The concept of “walking,” for instance, contains limitations, as it can only be applied to a being that is in one place, but not in another (if it were, it wouldn’t need to walk there), and that has legs, or appendages of some sort. Obviously the concept of “walking” cannot be applied to a Being outside space and time. But the concept of “knowing” or “understanding,” on the other hand, contains no such limitations; nor does the concept of “loving” – or for that matter, the concept of choosing, on the basis of what one knows and loves. The verbs corresponding to these activities are non-modal – a term I shall use for want of a better one – in that they do not specify anything about the manner in which the action is performed – unlike the verb “walk,” which is defined as an activity performed with one’s legs. Hence there is no good reason why verbs like “know,” “love” and “choose” cannot be meaningfully applied to a Transcendent God. Since we know what these verbs mean, and since the nature of God is defined entirely in terms of these non-modal verbs, it follows that the concept of God as a Being Who knows and loves perfectly can be grasped by us, even though the unrestricted manner of God’s knowing and loving cannot. There is no reason to expect our world — the one in which you are reading this right now — to be real as opposed to a simulation. And the simulated inhabitants of a virtual world stand in the same relationship to the simulating system as human beings stand in relation to the traditional Creator. If someone wants to argue that the existence of a Transcendent Being outside our cosmos has a likelihood of zero, then by the same token, doesn’t it follow that the probability of there existing some aliens in an unobservable “multiverse” who created our observable universe would also be zero? Finally, I would argue that in any case, we don’t need to show that the prior probability of God’s existence exceeds that of the multiverse. All we need to do is show that the prior probability of God’s existence exceeds some minimum threshold – let’s call it 1 divided by N, where N is some very, very large number. If we can then show (as I’ll attempt to do below) that the fine-tuning of the cosmos makes the existence of God N times more likely than the existence of the multiverse (or more precisely, that it confirms God’s existence over that of the multiverse by a factor of N), then that cancels out the low prior probability of God’s existence. And if we can show that the fine-tuning of the cosmos confirms the God hypothesis over the multiverse by a factor far, far greater than N, then we have demonstrated that the existence of God is far more likely than the rival multiverse hypothesis, given the evidence from fine-tuning. I believe that we can indeed establish a minimum threshold of 1 in 10^120 for the prior probability of God’s existence. Seth Lloyd, in his now-famous paper, titled, Computational capacity of the universe (Physics Review Letters 88:237901,2002, DOI: 10.1103/PhysRevLett.88.237901, arXiv:quant-ph/0110141), calculated that the number of events that have occurred in the entire history of the observable universe is no greater than 10^120. Now consider the hypothesis that every event has a natural cause. In the beginning, we might be indifferent between this hypothesis and the rival hypothesis that at least some events have a supernatural cause: after all, we don’t have any evidence one way or the other. The occurrence of a natural event will count in favor of the naturalistic hypothesis. Moreover, the naturalistic hypothesis will be to some extent strengthened with every additional event that takes place without supernatural intervention. For instance, after witnessing 10 such events, we might place the likelihood of a subsequent supernatural intervention at 1 in 11, and after observing 100 naturally occurring events, we would place the likelihood of a supernatural intervention at 1 in 101. If there have been 10^120 events in the history of the cosmos, then it might be rational to place the likelihood of a subsequent supernatural intervention at 1 in 10^120, but definitely no lower than that: that’s as far as the evidence to date can take us. (Please note that I’m being extremely generous here: I’m conceding for argument’s sake that there have been no supernatural acts during the entire history of the cosmos – which runs counter to the human testimony of miracles.) Now suppose that we are asked to evaluate the likelihood of the hypothesis that unbeknownst to us, the very first event in the history of the cosmos – its creation at the Big Bang – was a supernatural act. In view of all the subsequent events that have occurred without supernatural intervention, we might reasonably evaluate the prior likelihood of this hypothesis at 1 in 10^120, but it would be irrational to estimate it at lower than that. Even this very low likelihood is enough, when combined with the extremely high degree of fine-tuning in the cosmos, for us to be able to demonstrate that the probability of God’s existence, given the fine-tuning we observe, far exceeds the probability of the multiverse. Scientist and Christain apologist Richard Deem, in his lonline article, Evidence for the Fine Tuning of the Universe, summarizes the evidence for fine-tuning in a handy chart, showing, for five cosmic parameters, the maximum deviation from the accepted values, where any further deviation would either prevent the universe from existing now, either because it wouldn’t have any matter, or because it would be unsuitable for any form of life. I’m going to omit the last parameter listed by Deem (the cosmological constant) because as we’ll see below, Dr. Carroll thinks that parameter counts against fine-tuning. The remaining four parameters are as follows: (i) ratio of electrons to protons (maximum deviation = 1 in 10^37); (ii) ratio of electromagnetic force to gravity (maximum deviation = 1 in 10^40); (iii) expansion rate of the universe (maximum deviation = 1 in 10^55); and (iv) mass density of the universe (maximum deviation = 1 in 10^59). Multiply all these factors together, and you get 1 in 10^191, which means that the combined fine-tuning of the cosmos is 10^191. Time will tell whether the figures Deem cites turn out to be correct. My point, however, is that on the evidence available to us, the exquisite fine-tuning of the cosmos (to a degree of 10^191) is far greater than the biasing factor of 10^120 with which we might handicap the God hypothesis, on account of the supposed lack of observed miracles during the entire history of the cosmos. Multiply 10^(-120) by 10^191, and we can show that even given our initial bias against supernaturalism, the existence of God is 10^71 times more likely than the rival hypothesis of the multiverse, after we take into account the evidence from fine-tuning. 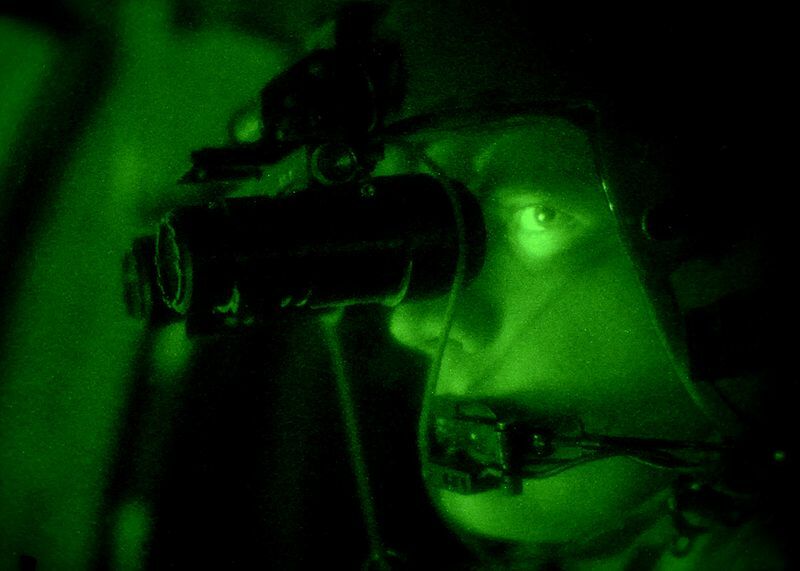 Infra-red night goggles. Image courtesy of Wikipedia. In an article entitled, Fine-Tuning and the Infrared Bull’s-Eye (which I blogged about here), philosopher John T. Roberts identifies a vital flaw in the way that the fine-tuning argument is commonly presented. The argument proceeds as if we already know that fine-tuning is required for any sort of life to exist, and then suddenly discover that (surprise!) our own universe contains life. In reality, we already know that life exists in our universe; the surprise is the fine-tuning of the constants of Nature. On the standard way of formulating the fine-tuning argument, the fact that fine-tuning is required for life – what I called R – is treated as part of the background knowledge B. L on the other hand (or, on the alternative version, V is treated as the new evidence we are considering. This suggests that we have known all along that fine tuning is required for life to exist in our universe, and then one day we discovered that life does exist in our universe – a striking discovery that forced us to reconsider the case for a designer. Of course, that gets things exactly backwards. We have known all along that our universe is life-sustaining (L). What comes as a surprise and makes us think that maybe we should rethink the matter of chance vs. design is the more recent discovery that fine tuning was required for life. This suggests that when we treat the fine-tuning argument as a likelihood argument (or more generally, when we formulate it in Bayesian terms), we should let our background knowledge include L, and let R be the item that plays the role of evidence. After all, the thing that we discovered which suddenly seemed to favor the hypothesis of a designer over the chance hypothesis in a new way was not that there is life in the universe, nor that e.g. the ratio of the strengths of the gravitational and electromagnetic forces has the value it does, but rather that the life we know to exist in the universe depended on a set of conditions balanced on the head of a pin in a way we had never suspected before. So, the crucial move in the argument is this: The precariously-balanced nature of life in our universe is far less surprising given a designer than it would be given chance, and so it evidentially favors design over chance. Roberts is now ready to put forward his own version of the fine-tuning argument. Before we examine it, there’s just one more principle that we need to be familiar with: the Likelihood Principle. It goes as follows. Suppose you’re considering two rival hypotheses: hypothesis 1 and hypothesis 2. Then we can say that a new piece of evidence E favors hypothesis 1 over hypothesis 2, whenever (and only whenever) the probability of that evidence occurring is higher under hypothesis 1 than it is under hypothesis 2. Putting it in mathematical jargon: in a context where our background knowledge is B, a piece of evidence E favors hypothesis H1 over hypothesis H2 if and only if the probability of E given hypothesis H1 and background knowledge B, or Pr(E|H1 & B) is greater than the probability of E given hypothesis H2 and background knowledge B, or Pr(E|H2 & B)]. The Likelihood Principle is not at all controversial, philosophically speaking: it simply describes the standard way of adjudicating between rival hypotheses. Premise 1+: L belongs to our background knowledge B. Premise 2+: If L belongs to our background knowledge B, then Pr(R|D & B) > Pr(R|C & B). Conclusion, by 3 and the Likelihood Principle: Given our background knowledge, R evidentially favors D over C.
In other words, the discovery of fine-tuning makes it more likely (from our perspective) that there is a God, if by “God,” we mean a purposeful and intelligent being outside the cosmos. And as scientists discover more and more fine-tuning in our scientific investigations of the cosmos, it will appear increasingly likely to us that there really is such a God. A standard dartboard. Image courtesy of Tijmen Stam and Wikipedia. In his article, Fine-Tuning and the Infrared Bull’s-Eye, Roberts anticipates a possible objection to his new version of the fine-tuning argument: how do we know that the second premise is true? The second premise stipulated that if we already know that life exists, then the probability that life would require fine-tuning is higher if there’s a Designer than it would be if everything is ultimately the product of blind chance. But why should this be so? Why should the occurrence of fine-tuning render the existence of a Designer more likely? The analogy between this case and that of the fine-tuning argument is obvious. Our discovery of R corresponds to the discovery of the infrared bull’s-eye: It shows us that there was something intelligibly (even if not uniquely) aim-worthy or choiceworthy about the values of our universe’s parameters which they do not share with generic possible parameter-values. Just as the discovery of the heretofore invisible bull’s-eye ought to strike us as more likely given a skillful aimer than given a random flinger, so should the special feature of the actual parameter-values strike us as more likely given that they were set by design than given that they were set by chance. This is an excellent illustration, which renders the second premise of Roberts’ argument highly plausible. What is it, precisely, that makes it rational to infer that the dart is thrown by an intentional agent? Roberts’ answer is: the fact that the target was choiceworthy or aim-worthy in a way that other spots on the wall were not. I won’t belabor this point, as Professor Carroll acknowledges in his video presentation that life is a choiceworthy goal for an Intelligent Designer: indeed, he even estimates the probability of life arising, given God’s existence, to be precisely 1, or 100%. What the fine-tuning argument needs in order to work is not for it to be more likely than not that a designer would make R be true if it could; rather, it needs it to be more likely that R is true given both L and D than it is given L and C. This latter claim is perfectly compatible with its being the case that if there is a Designer, it would most likely make a world where fine tuning is not required. It might be helpful to consider an analogy. I have an uncle who is not at all famous, is not a model, and does not work in the computer industry or know anybody who does. So if you notice that my screen saver features a picture of my uncle, you can reasonably be quite confident that I set up my own screen saver, instead of just using the one that came pre-installed on the computer. This doesn’t change if you also happen to know that my uncle and I are not particularly close, so that it is rather unlikely that I would choose a picture of him for a screen saver if I were setting it up myself. That doesn’t matter: As unlikely as it is that my uncle’s photo would be in my screen saver had I set it up myself, it is surely far more unlikely that his photo would be in my screen saver had my screen saver been the one provided by the manufacturer. (After all, I am at least related to the guy.) So when you see my uncle’s photo there, you have excellent grounds for favoring the hypothesis that I set up my own screen saver over the hypothesis that I used the one that came pre-installed – even though what you see is quite surprising, given the hypothesis thus favored. I would now like to put forward my own answer to the skeptic’s question, “Why would God create a finely tuned universe?” So far, we’ve been talking about a Designer Whose goal is simply to create life. But I would argue that the creation of intelligent life is also a choiceworthy goal for a Designer – and I’m sure Dr. Carroll would agree with me here, since he acknowledges in his video that if God exists, then life should exist – and that a Being Who created intelligent life-forms might well want to leave them some sign of His presence, so that the intelligent beings which He had made could infer His existence. Now, I’m not arguing that fine-tuning is necessarily the best “calling card” that a Designer could leave – one could imagine messages emblazoned across the sky, for instance – but it is a pretty clear one. So if someone were to ask me why a Designer would want to make a fine-tuned universe, I would answer: “In order to leave a clear signal of His presence to His intelligent creatures, who are capable of knowing and loving their Creator.” It’s as simple as that. 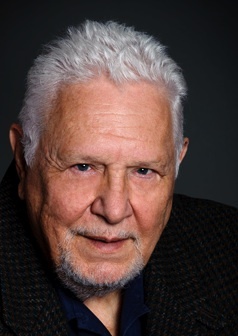 Emeritus Professor Victor Stenger, a long-time critic of the fine-tuning argument. Image courtesy of Victor Stenger and Wikipedia. In reply, fine-tuning isn’t about what the parameters and laws are in a particular universe. Given some other set of laws, we ask: if a universe were chosen at random from the set of universes with those laws, what is the probability that it would support intelligent life? If that probability is suitably (and robustly) small, then we conclude that that region of possible-physics-space contributes negligibly to the total life-permitting subset. It is easy to find examples of such claims. * A universe governed by Maxwell’s Laws “all the way down” (i.e. with no quantum regime at small scales) will not have stable atoms – electrons radiate their kinetic energy and spiral rapidly into the nucleus – and hence no chemistry (Barrow & Tipler, 1986, pg. 303). We don’t need to know what the parameters are to know that life in such a universe is plausibly impossible. * If electrons were bosons, rather than fermions, then they would not obey the Pauli exclusion principle. There would be no chemistry. * If gravity were repulsive rather than attractive, then matter wouldn’t clump into complex structures. Remember: your density, thank gravity, is 10^30 times greater than the average density of the universe. * If the strong force were a long rather than short-range force, then there would be no atoms. Any structures that formed would be uniform, spherical, undifferentiated lumps, of arbitrary size and incapable of complexity. * If, in electromagnetism, like charges attracted and opposites repelled, then there would be no atoms. As above, we would just have undifferentiated lumps of matter. Tightrope walker Maria Spelterini crossing Niagara Falls on July 4, 1876. Our universe is balanced on a tightrope. Image courtesy of George E. Curtis and Wikipedia. Even if we grant (for argument’s sake) that Professor Carroll may be right in his claim that a wide variety of other universes are capable of supporting life, it is still a very surprising fact about our own universe that if its parameters were altered slightly, it would become incapable of supporting life. This is the central fact on which the fine-tuning argument is based. In other words, Carroll appears to be under the mistaken impression that the fine-tuning argument stands or falls on the global claim that life-friendly universes are extremely rare, within the set of all possible universes, when in fact, the fine-tuning argument actually rests upon the more modest local claim that very few, if any, universes whose parameters are in the vicinity of those in our own universe, are capable of supporting life. In other words, our universe sticks out like a sore thumb, within the neighborhood of other universes like it. This striking fact is all that is needed to make the fine-tuning argument work. 1. Above the blue line, there is only one stable element, which consists of a single particle Delta-double plus. This element has the chemistry of helium – an inert, monatomic gas (above 4K) with no known stable chemical compounds. 2. Above this red line, the deuteron is strongly unstable, decaying via the strong force. The first step in stellar nucleosynthesis in hydrogen burning stars would fail. 3. Above the green curve, neutrons in nuclei decay, so that hydrogen is the only stable element. 4. Below this red curve, the diproton is stable. Two protons can fuse to helium-2 via a very fast electromagnetic reaction, rather than the much slower, weak nuclear pp-chain. 5. Above this red line, the production of deuterium in stars absorbs energy rather than releasing it. Also, the deuterium is unstable to weak decay. 6. Below this red line, a proton in a nucleus can capture an orbiting electron and become a neutron. Thus, atoms are unstable. 7. Below the orange curve, isolated protons are unstable, leaving no hydrogen left over from the early universe to power long-lived stars and play a crucial role in organic chemistry. 8. Below this green curve, protons in nuclei decay, so that any atoms that formed would disintegrate into a cloud of neutrons. 9. Below this blue line, the only stable element consists of a single particle Delta-minus, which can combine with a positron to produce an element with the chemistry of hydrogen. A handful of chemical reactions are possible, with their most complex product being (an analogue of) H2 [hydrogen gas – VJT]. We may fairly conclude, then, that the popular description of the universe being balanced on a knife-edge is quite accurate. Every disk is a bubble universe. Universe 1 to Universe 6 are different bubbles, with distinct physical constants that are different from our universe. Our universe is just one of the bubbles. Image courtesy of Krzysztof Mizera and Wikipedia. In an influential essay entitled, The Teleological Argument: An Exploration of the Fine-Tuning of the Universe (in The Blackwell Companion to Natural Theology, edited by William Lane Craig and J. P. Moreland, 2009, Blackwell Publishing Ltd.), Dr. Robin Collins argues that a “multiverse-generator” doesn’t eliminate the need for fine-tuning. …[A]s a test case, consider the inflationary type multiverse generator. In order for it to explain the fine-tuning of the constants, it must hypothesize one or more “mechanisms” for laws that will do the following [four] things: (i) cause the expansion of a small region of space into a very large region; (ii) generate the very large amount of mass-energy needed for that region to contain matter instead of merely empty space; (iii) convert the mass-energy of inflated space to the sort of mass-energy we find in our universe; and (iv) cause sufficient variations among the constants of physics to explain their fine-tuning. [T]o achieve (i)–(ii), we effectively have a sort of “conspiracy” between at least two different factors: the inflaton field that gives empty space a positive energy density, and Einstein’s equation… of General Relativity, which dictates that space expand at an enormous rate in the presence of a large near-homogenous positive energy density… Without either factor, there would neither be regions of space that inflate nor would those regions have the mass-energy necessary for a universe to exist. If, for example, the universe obeyed Newton’s theory of gravity instead of Einstein’s, the vacuum energy of the inflaton field would at best simply create a gravitational attraction causing space to contract, not to expand. In addition to the four factors listed, the fundamental physical laws underlying a multiverse generator – whether of the inflationary type or some other – must be just right in order for it to produce life-permitting universes, instead of merely dead universes. Specifically, these fundamental laws must be such as to allow the conversion of the mass-energy into material forms that allow for the sort of stable complexity needed for complex intelligent life. For example, … without the Principle of Quantization, all electrons would be sucked into the atomic nuclei, and, hence atoms would be impossible; without the Pauli Exclusion Principle, electrons would occupy the lowest atomic orbit, and hence complex and varied atoms would be impossible; without a universally attractive force between all masses, such as gravity, matter would not be able to form sufficiently large material bodies (such as planets) for life to develop or for long-lived stable energy sources such as stars to exist. Although some of the laws of physics can vary from universe to universe in superstring/M-Theory, these fundamental laws and principles underlie superstring/M-Theory and therefore cannot be explained as a multiverse selection effect. Further, since the variation among universes would consist of variation of the masses and types of particles, and the form of the forces between them, complex structures would almost certainly be atomlike and stable energy sources would almost certainly require aggregates of matter. Thus, the said fundamental laws seem necessary for there to be life in any of the many universes generated in this scenario, not merely in a universe with our specific types of particles and forces. In sum, even if an inflationary-superstring multiverse generator exists, it must have just the right combination of laws and fields for the production of life-permitting universes: if one of the components were missing or different, such as Einstein’s equation or the Pauli Exclusion Principle, it is unlikely that any life-permitting universes could be produced. Consequently, at most, this highly speculative scenario would explain the fine-tuning of the constants of physics, but at the cost of postulating additional fine-tuning of the laws of nature. Rayonnant north rose window of the Cathédrale Notre-Dame de Paris. Image courtesy of Krzysztof Mizera and Wikipedia. Several years ago, Dr. Robin Collins, a leading advocate of the fine-tuning argument, gave an excellent argument explaining why the multiverse hypothesis is unable to account for the beauty of the laws of nature in section 6 of a lecture he gave at Stanford University entitled, Universe or Multiverse? A Theistic Perspective. Collins maintained that neither the totally unrestricted multiverse hypothesized by Dr. Tegmark nor a more restricted multiverse which generates universes with different constants of nature was able to account for the beauty of the cosmos. [T]he idea that the laws of nature are beautiful and elegant is a commonplace in physics, with entire books devoted to the topic. Indeed, Steven Weinberg – who is no friend of theism – devotes an entire chapter of his book Dreams of a Final Theory to beauty as a guiding principle in physics. To develop our argument, however, we need first to address what is meant by beauty. As Weinberg notes, the sort of beauty exemplified by physics is that akin to classical Greek architecture. The highpoint of the definition of this classical conception of beauty could be thought of as that of William Hogarth in his 1753 classic The Analysis of Beauty. According to Hogarth, simplicity with variety is the defining feature of beauty or elegance, as illustrated by a line drawn around a cone. Hogarth claimed that simplicity apart from variety, as illustrated by a straight line, is boring, not elegant or beautiful…. Further, this “fine-tuning” for simplicity and elegance cannot be explained either by the universe-generator multiverse hypothesis or the metaphysical multiverse hypothesis, since there is no reason to think that intelligent life could only arise in a universe with simple, elegant underlying physical principles. Certainly a somewhat orderly macroscopic world is necessary for intelligent life, but there is no reason to think this requires a simple and elegant underlying set of physical principles. One way of putting the argument is in terms of the “surprise principle” we invoked in the argument for the fine-tuning of the constants of intelligent life. Specifically, as applied to this case, one could argue that the fact that the phenomena and laws of physics are fine-tuned for simplicity with variety is highly surprising under the non-design hypothesis, but not highly surprising under theism. Thus, the existence of such fine-tuned laws provides significant evidence for theism over the non-design hypothesis. Another way one could explicate this argument is as follows. Atheism seems to offer no explanation for the apparent fine-tuning of the laws of nature for beauty and elegance (or simplicity with variety). Theism, on the other hand, seems to offer such a natural explanation: for example, given the classical theistic conception of God as the greatest possible being, and hence a being with a perfect aesthetic sensibility, it is not surprising that such a God would create a world of great subtlety and beauty at the fundamental level. Given the rule of inference that, everything else being equal, a natural non-ad hoc explanation of a phenomenon x is always better than no explanation at all, it follows that everything else being equal, we should prefer the theistic explanation to the claim that the elegance and beauty of the laws of nature is just a brute fact. Multiverse advocates have failed to address the beauty of the laws of nature. In the meantime, theists certainly have nothing to fear from any future scientific discovery showing that our cosmos may be embedded within some larger structure. The beauty of the laws of nature offers eloquent testimony to the existence of a Designer of nature. In section (a), I attempted to rebut Dr. Carroll’s contention that the transcendence of God renders His existence far less likely than that of the multiverse. I also pointed out that in any case, we can calculate a minimum likelihood of 1 in 10^120 for the existence of God, and that even this very low likelihood is enough, when combined with the extremely high degree of fine-tuning in the cosmos, for us to be able to demonstrate that the probability of God’s existence, given the fine-tuning we observe, far exceeds the probability of the multiverse. Next, I contended in part (b) that Dr. Carroll had mis-stated the relevant evidence for the existence of God, which is not the existence of life (as is commonly thought), but the existence of fine-tuning. In sections (c) and (d), I then argued that the existence of fine-tuning in the cosmos renders the existence of a Transcendent Designer (God) more likely, but that it does not render the existence of a multiverse any more likely. In section (e), I rebutted the argument, put forward by Professor Victor Stenger, that a large number of multiverses may contain life, and in section (f), I maintained that even if this were the case, it would still be true that the universe in which we live is balanced on a knife edge, relative to other universes in its neighborhood – a striking fact which can be readily explained by postulating the existence of a God Who wants to make His existence known to us, but which cannot be explained by the multiverse hypothesis. In section (g), I argued that even if there were a multiverse, it would itself be fine-tuned: in other words, postulating a multiverse fails to do away with the need for God. Finally, in section (h), I explained why the beauty of the cosmos is a striking fact that points to its having had a Transcendent Creator. In the next section, I’d like to consider one more challenge which Dr. Collins puts forward against the fine-tuning argument: his claim that the very low (but non-zero) entropy of the early universe renders the existence of God vanishingly unlikely. Constellation Fornax, EXtreme Deep Field view. Each light speck is a galaxy. Some of these galaxies are as old as 13.2 billion years. The low entropy of the early universe is a deeply puzzling fact for modern cosmologists. Image courtesy of NASA and Wikipedia. Later on in his video, Is God a Good Theory?, Professor Carroll addresses the question: what’s the posterior probability of God’s existence, given the data we observe? Until this point in the video, Carroll has been focusing on what he regards as the most salient piece of data about the cosmos: the fact that it contains life. Carroll generously declares that he is quite willing to grant that if God exists, then life should exist. No problems there. But it’s the other data about the universe, claims Carroll, that gets God into trouble. Before I address this “other data,” I’d just like to note again that Professor Carroll has mis-stated the fine-tuning argument. The central piece of data that’s relevant for the purposes of the fine-tuning argument is not the existence of life, but the fine-tuning of the cosmos, which I discussed in the previous section. The data that God can’t explain, but the multiverse might: why is the entropy of the early universe extremely low, but not zero? So what’s the magic piece of data that totally discredits the God hypothesis, for Professor Carroll? In a nutshell, it’s the low entropy of the early universe. The term “entropy,” for the benefit of readers who don’t have a scientific background, roughly means “disorder”: the entropy of a system is a measure of how messy it is. More precisely, a system’s entropy represents the number of different possible states that the system can be in: the more states a system can occupy, the less ordered it is. Thus a system which is low in entropy is highly ordered. Now, the universe as a whole can be thought of as a system. And one of the surprising discoveries of modern physics is the fact that the early universe was very well-ordered indeed. Physicists can calculate the value that the entropy of the early universe should have, in order for our universe to support life, and then compare it with the value that it actually had back then. Professor Carroll out that the entropy of the early universe is much, much smaller smaller than it needed to be, to allow for the existence of life. In fact, it’s lower than its natural value by a factor of 10^10^120.. To grasp what Carroll is saying here, try to imagine the number 1, divided by a very large number: 1 followed by 1 trillion trillion trillion trillion trillion trillion trillion trillion trillion trillion zeroes. That’s a very tiny fraction indeed. The entropy of the early universe is that fraction of the value predicted by physicists. It’s been called the worst prediction in the history of physics. Roughly speaking, the large number of particles in the universe were arranged in an extraordinarily smooth configuration, which is highly unstable and unlikely given the enormous gravitational forces acting on such densely-packed matter. While vacuum energy is tuned to one part in 10^120, the entropy of the early universe is tuned to one part in ten to the power of 10^120, a preposterous number. The entropy didn’t need to be nearly that low in order for life to come into existence. One way of thinking about this is to note that we certainly don’t need a hundred billion other galaxies in the universe in order for life to arise here on Earth; our single galaxy would have been fine, or for that matter a single solar system. If anything, the much-more-than-anthropic tuning that characterizes the entropy of the universe is a bigger problem for the God hypothesis than for the multiverse. If the point of arranging the universe was to set the stage for the eventual evolution of intelligent life, why all the grandiose excess represented by the needlessly low entropy at early times and the universe’s hundred billion galaxies? … It’s unclear why God would do so much more fine-tuning of the state of the universe than seems to have been necessary. Professor Carroll elaborates on this argument in his video presentation in January 2013, in which he asserts that God, if He existed, could make a solar system capable of supporting life, without having an ordered Milky Way galaxy. And even if one wanted to argue that it would be aesthetically pleasing if the galaxy in which the solar system is located were highly organized, we still need to confront the question: why are all the other 100-billion-odd galaxies in the universe so highly ordered? There’s absolutely no need for them to be. So if we claim that God’s interest in creating a life-friendly universe is the reason for the low entropy of the early cosmos, then we have to explain the awkward fact that this entropy could have been much, much higher, and the universe could still support life. (In other words, even if the universe were a lot messier, it could still support life-forms like ourselves.) When we consider the range of possible values for the early universe’s entropy, the probability that the universe should have had such a staggeringly low level of entropy, supposing it to have been created by a God Who wanted to create life, is vanishingly low: 1 in 10^10^120. Putting it another way: it’s extremely unlikely that a God Who wanted to make a life-friendly cosmos would have made one like ours. Thus according to Carroll, the cosmos, as it stands, is evidence against the existence of God, not for it. Perhaps a believer might argue that God is extremely fastidious, and that He likes order: He wouldn’t want to create a messy universe. Rather, He’d want to make one with all the galaxies highly ordered. That’s fine, but the problem is that the entropy of the early universe is not quite zero. If it were zero, the universe would be even more ordered than it is now. So if God were trying to make a perfectly ordered universe, then why didn’t He just set the entropy of the early universe to exactly zero? This is a point made by physicist Professor Lawrence Krauss in a recent debate (August 30, 2013) with the Christian apologist and theologian, Professor William Lane Craig. Thus the extraordinarily low value for the entropy of the early universe poses a double conundrum for believers in God: on the one hand, it’s not quite zero, as we might expect it to be if God were an exceptionally neat Creator, but on the other hand, it’s much, much lower than it needs to be, for the universe to support life. What possible reason could God have for setting the entropy of the early universe to such an arbitrarily low (but non-zero) value? Professor Carroll then argues that however poorly the multiverse – which is the leading rival explanation to God – accounts for the low entropy of the early cosmos, the physicists who champion this hypothesis are at least trying to explain why the figure is so astonishingly low. Multiverse theorists are making a genuine attempt to explain the extraordinarily low entropy of the early cosmos. By contrast, theologians don’t even try to explain why God would want a universe with such low entropy in the beginning: their God-hypothesis is useless. Carroll therefore suggests that we ditch the God hypothesis in favor of the multiverse. The fatal assumption underlying Professor Carroll’s argument against theism is that God simply wants to create life (perhaps also, intelligent life), and nothing more. But if God is a Personal Being, then it is reasonable to infer that He would want to have a relationship with us. It is also reasonable to infer that if He wanted to have a relationship with us, He would leave a fairly clear sign of His Existence. I would argue that the low entropy of the cosmos is just such a sign, and I would suggest that there is a special reason why it has the low, non-zero value it has. Religious believers hold that the universe is the creation of a free and intelligent Supernatural Being, Whom they call God. However, liberty of choice and liberty of spontaneity are two very different things. There is an important distinction between a free decision by an intelligent agent and a purely arbitrary or random decision: the former requires a justifying reason of some sort, while the latter does not. Consequently, if the laws, parameters and initial conditions of the universe were the result of a free decision on God’s part, we would expect to find something non-arbitrary about the extraordinarily value of the entropy of the early universe. They had to have been set that way for a reason. The first suggestion I would like to make is that even though that we don’t need a hundred billion other galaxies in the universe in order for life to arise on Earth, we would still expect a Creator of the universe to make a universe that looked elegant to human observers, if He were leaving a sign of His presence. An unexpectedly well-ordered universe would, after all, be a better signal of God’s presence than one which had no more order than was necessary to produce life: the latter universe might easily be mistaken for one of the lucky universes in the multiverse that just happened to be capable of supporting life, whereas the former universe (which contains much more order than is necessary) would not. Thus human observers should expect to find well-ordered galaxies in every nook and cranny of the cosmos. My second suggestion is that the value of the early universe’s entropy may be a threshold value: if it were even slightly higher, the universe would look noticeably less orderly to human observers than it does now. Perhaps there would be a few corners of the universe that were totally chaotic. Or perhaps matter, on some microscopic scale, would be noticeably less orderly in its behavior than the matter we observe. In other words, the universe would look inelegant or messy to human observers – especially scientists. Because God wanted to make a universe which is science-friendly as well as life-friendly, He made the universe with a very low initial entropy. On the other hand, I would predict that making the entropy even lower wouldn’t make any appreciable observational difference, from the point of view of scientists doing their research. In other words, the universe has the low initial entropy it has, because God intended it to be just ordered enough to be science-friendly – and no more. Making it that way and giving it a very slight non-zero initial entropy would actually be a clearer signal of God’s presence than giving it a zero initial entropy. My third suggestion is that the entropy of the early universe was set with a view to the emergence of intelligent beings at a certain time in the universe’s history. The emergence of intelligent life-forms could not have occurred until sufficiently metal-rich stars (Population I stars) had formed, several billion years after the Big Bang. What I’m proposing is that God designed the universe in such a way that at the time when the first intelligent life-forms emerged, the universe was still (just) ordered enough for it to be investigated at all scales and in every corner of the sky, and still appear well-ordered. If intelligent life-forms had appeared at a much later time in cosmic evolution than they did, then the entropy of the early universe would have had to have been even lower than it actually was. It should be borne in mind that the foregoing suggestions may well be completely wrong – after all, I’m not a scientist. What I intended to show by making these proposals is that the “God hypothesis” is not a science-stopper, despite frequent claims to the contrary. At the present time, it is reasonable to think that the very low but non-zero entropy of the early universe may be a sign pointing to the existence of a Creator of the cosmos, and that there may be a special reason why it has the value it has. In any case, the evidence marshaled in the previous section should put this conclusion beyond reasonable doubt. There has been much talk in scientific circles recently about a 2013 paper by Anna Ijjas, Paul J. Steinhardt and Abraham Loeb, titled, Inflationary paradigm in trouble after Planck2013. The authors of the paper question the cosmological theory of inflation, which postulates that the universe underwent a period of extremely rapid expansion shortly after the big bang, and that it has been expanding at a slower rate ever since. What I think their paper does instead is lend powerful support to the fine-tuning argument, which claims that the physical constants, initial conditions and laws of the universe were designed by God. In my recent post, New cosmology paper by skeptical scientists lends support to the fine-tuning argument (October 30, 2013), I argue that this conclusion follows naturally if we assume that the Intelligent Designer of the cosmos wanted to not only make a universe that is hospitable to intelligent beings like ourselves, but also to send a clear signal of His existence to these intelligent beings. I conclude, then, that the existence of God is by far the best explanation of the fine-tuning of the cosmos. To give a higher priority to a more powerful theory is kind of circular; of course, one should do so. However, while powerful theories might be simple and even elegant, there is nothing about simplicity and elegance that could possibly, ipso facto, lend a powerful cogency to theories. I expect Einstein regretted his apothegms alluding one way or another to his favoured aesthetic criterion for his selection of his hypotheses. Being of the atheist persuasion, at least for professional purposes (however, in fact, unprofessional for the purposes of honest science), 90% plus of the scientists who picked up on it would not have the wisdom to grasp or indeed to believe another of Einstein’s key insights, viz. that imagination is to be more highly prized (implicitly, not least by the scientist) than (the worldly, analytical) intelligence. That is certainly the impression one gains from Einstein’s assertions to the effect that one shouldn’t get ‘hung up’ on elegance, to the neglect of ‘doing the science’, and that it’s not wise to make a fetish of simplicity, viz. going beyond sensible bounds. Has anyone seen or observed a multiverse yet? Are they (multiverse) empirically verifiable or are they pure speculation? Excerpt: The physical universe is causally incomplete and therefore neither self-originating nor self-sustaining. The world of space, time, matter and energy is dependent on a reality that transcends space, time, matter and energy. This transcendent reality cannot merely be a Platonic realm of mathematical descriptions, for such things are causally inert abstract entities that do not affect the material world. Neither is it the case that “nothing” is unstable, as Mr. Hawking and others maintain. Absolute nothing cannot have mathematical relationships predicated on it, not even quantum gravitational ones. Rather, the transcendent reality on which our universe depends must be something that can exhibit agency – a mind that can choose among the infinite variety of mathematical descriptions and bring into existence a reality that corresponds to a consistent subset of them. This is what “breathes fire into the equations and makes a universe for them to describe.,,, the evidence for string theory and its extension, M-theory, is nonexistent; and the idea that conjoining them demonstrates that we live in a multiverse of bubble universes with different laws and constants is a mathematical fantasy. What is worse, multiplying without limit the opportunities for any event to happen in the context of a multiverse – where it is alleged that anything can spontaneously jump into existence without cause – produces a situation in which no absurdity is beyond the pale. Multiverse is a problem for Physicists and cosmologists too. The present consensus is that universe is Flat. If there is multiverse, the probability of universe being not flat, P[Flat] will be less than P[Closed]+ P[Open]( as Omega= 1-which represents a Flat universe-is difficult to achieve).Hence the multiverse will not be Flat. This will throw all calculations of Dark matter, Dark energy and matter density into disarray. Another famous instance of simpler theory not being useful is that of Space-time. When space-time is represented as an Euclidean geometry equation, we can travel backwards in time, hence that was rejected and now we have parabola based on s^2=dt^2-x^2 where s is the distance in space-time, dt is time coordinate and x is the distance in space. Dr.VJT => I conclude, then, that the existence of God is by far the best explanation of the fine-tuning of the cosmos. => I agree.No random chance or any other force of nature can produce a perfectly balanced universe which has all the right parameters for life. In this article the “Fine-tuning” of the Universe is eloquently and simply, or as simple as I’ve ever read, explained as evidence for the existence of God. Having followed the arguments for and against, since 1988, the “dart board” example, presented in the paper, should be expanded from one dart hitting the bulls-eye before we realize their is a bulls-eye to numerous bulls-eye hits as we continue to gaze at the dart board and, of course, unable to turn and view who or what is throwing the darts. And, of course, I’m merely a layman, too. Thanks for the information… I guess I’m confused as to why certain scientists continue to prop up speculative theories as if fact. Shaking head! I’m confused as to why certain scientists continue to prop up speculative theories as if fact. I was confused about that for a long while too since I had always assumed science was about relentlessly pursuing the truth wherever that truth may lead. Or as others like to say, ‘following the evidence wherever it leads’. But it turns out, for whatever reason, that others are not so enamored with that common sense notion of science, so as to let the evidence speak for itself, but have tried to impose materialistic answers onto the evidence no matter what the evidence says to the contrary. You may think that this imposition of materialistic answers prior to investigation simply can’t be the way science is actually practiced in the real world as I did for the longest time, but the fact of the matter is that materialists/atheists have in fact been successful in hoodwinking a large percentage of working scientists into thinking that “Methodological Naturalism”, as it is called, is the way science ought to be done. It is insanity I know, but that is what some very prominent scientists truly believe. Phillip Johnson – The Unraveling of Scientific Materialism, First Things, 77 (Nov. 1997), pp. 22 – 25. Hi Dr. Torley, What does “fine-tuned” mean? Let’s start with the most finely-tuned case imaginable–do you imagine the cosmos was designed just so a particular sperm could meet with a particular egg leading to an Ed Babinski and a Vincent Torley, and also that everything we ever read or personally experienced in our lives was designed just so we would each wind up with our present memories, habits, ideas, beliefs and personalities? I know I don’t. So what we’re talking about at best is some sort of cosmos or even infinitie cosmoses, of sketchy to unknown ultimate dimensions in which life arose in a teensy moment of total cosmic time and might not last very long either (not compared with the lifetimes of stars, galaxies or other cosmoses which easily can outlive the life found on any single planet by billions of years). So “life” only arose in the tiniest part of that matrix and may not be here for long, it may be unstable, and certainly can be said to be merely in equilibium with death. In fact we live on a small rock flying through space whose surface remains unstable, and we only just arrived. Speaking personally, individually, I feel ‘privileged’ to be alive, aware, healthy and have family and friends , but there’s plenty of people I read about and see photos of whose only privilege is to be miscarried which happens about 50% of the time quite naturally, or to be the twin in the womb that vanishes (vanishing twin syndrome, death without a corpse), or die of malnutrition, or live a life with inadequate brain development due to early nutritional deficiencies or due to a roll of the dice genetically, or die young or be blinded or crippled by any of a great number of childhood illnesses (because bacteria and viruses are opportunists that specialize in attacking the weak and the young whose immune systems don’t have much memory of past invaders). And that doesn’t count the endless scenario of death that preceded the evolution and arrival of the human species and which continues today throughout nature. We see galaxies colliding, stars exploding, stars passing near enough to each other to obliterate any possible life on their planets, then there’s other events such as asteroid strikes, the solar quadrupole moment, mass loss from the Sun through radiation and solar wind, and drag of solar wind on planetary magnetospheres, galactic tidal forces, the fractional effect, and effects from passing stars. 1) both Beethoven and cancerous tumors? 2) a cosmos in which living things both arise and go extinct, including mass extinction events? What if this is “it.” And we are stuck trying to make sense of it, because any organism with enough intelligence would also be stuck with that same question? Whether the cosmos is “fine-tuned” is not the only philosophical question in cosmology, and most cosmologists find it not worth pursuing because we have nothing to compare this cosmos with, which makes the argument problematical. But there are also more formal arguments that call into question the fine-tuning argument. I will share those below. 1) We don’t know if any other set of constants and laws are even possible. We also don’t know that the constants can vary independently from one another. They may all be causally related to one another or to some more fundamental feature. We used to think there were as many as 40 fundamental constants, including the boiling point of water. Now we know that this derives from quantum mechanics, and the number of fundamental constants is now down to six or so. So this universe may be the only way it can go. 2) It may not be that our universe is as special as we think; there could be many others that are special or interesting in different ways. Life could arise through different means or different chemistries or different physical laws, if those even exist. 3) There may be standard physical mechanisms for producing multiple separate universes with different laws. If so, the existence of one like ours would no longer be unexpected. We might never be able to detect the other universes, but we may able to prove they should be there. 4) A very unlikely outcome does not allow you to say the cause wasn’t random. The fact that this universe exists cannot be used to prove we were divinely created. 5) Wouldn’t any organism capable of extended thoughts naturally imagine itself to be “the reason” the universe existed, just so “it” could arise and have such thoughts? But isn’t that also a possible delusion? For instance, humanity could go extinct in future, and the stars would continue to burn for billions of years without us, because they burn by fusion and have plenty of fuel left (and in some places new stars are still arising). Or humanity could mutate into something else in future via genetically enhanced brains or artificial intelligence, and then THAT species might think IT was the reason the cosmos was created, and view humans of our time like we viewed early upright primates. Or humanity could devolve over millions of years after a major asteroid strike, or after a major solar flare makes the world’s transformers explode and perhaps burns some of our atmosphere away, after which humanity devolves into something more animal-like, or some other species supersedes ours a billion years after our extinction. Douglas Adams used the illustration of a puddle formed in the night after light rain that marveled at how the hole it was lying in was shaped exactly like it was, just so that the puddle with its exact shape might exist. Then the sun rose and it started growing hot and the puddle began to dry up, all the while marveling at how the hole it lay in fit it exactly, until the puddle was no more. While other philosophers remark that God appears to have been aiming rather low in creating humanity “in His image.” After all, our brain-minds have been kluged together after a couple billion years of evolution of competing organisms. And the resulting mind includes a long list of “cognitive biases” as recorded in numerous experiments, including a mind that relies heavily on cultural conditioning to pick up ideas, practices, beliefs and feelings, not to mention being subject to hormonal tides. It also has difficulty communicating with other minds, since all communication is limited to a particular language that uses idiomatic analogies and phrases that make sense primarily in a particular culture and time, and the words we utter or write to one another consist of a one-dimensional stream but the ideas we are trying to convey are connected in each person’s individual mind in a particular three-dimensional fashion (four dimensions when you include changes of mind over time), not to mention that few people have all the time to read the same books, and nobody has all the same experiences, so difficulties in communication are sure to be rampant, including of course, discussions in philosophy and religion. The essence of the flaw is that the argument depends on regarding humans as “special”, as though a universe without humans would be improper in some way. Thus the argument is simply anthropocentric hubris, and takes as an axiom (the specialness of humans) what it aims to prove (the specialness of God-created humans). Yes, we may be special to ourselves, but that doesn’t mean we matter especially to the universe. Theists often err by assuming that what matters to humans must matter in an absolute or universal sense. And without that “specialness” assumption the argument from fine tuning falls apart. Entities that are peculiar to and characteristic of their environment are exactly what you would expect from non-intelligent, natural processes. Intelligent design could produce either outcome: inhabitants that are well-fitted to their environment or inhabitants that are not (as in zoos). Non-intelligent processes could only produce the former. Thus, the fact that the universe appears to be “fine tuned” to produce its inhabitants is a direct prediction of atheism, but not of theism. Thus the fine-tuning argument actually argues for an atheistic universe. So here is a reasonably succinct summary of those six flaws, in reply to the theologians. (1) Who says the universe is tuned for life? As far as we know, intelligent life occurs in only one million-billion-billion-billionth of the universe around us. It’s not the case that the universe is teeming with life, is it? If someone intelligent were going to design a universe to host life, they could do it a heck of a lot more parsimoniously than by inventing our universe. Tell you what, pick a random cubic kilometre of our universe; now try making a case for theism given only the contents of that cube. If you object that you want instead a highly particular, specially chosen chunk of universe (Earth) on which to base your case, then that’s anthropocentric special pleading. If your case had merit it could still be made without carefully selecting your data inputs. Afterall, without Earth, you’d still have 99.999999999999% of God’s creation to work with. (2) So what if the universe were different? Yes, it wouldn’t be as we know it, and wouldn’t produce the sort of life forms that we know, but do you really know that it wouldn’t produce just as much or more life as our universe? Do you really think you know enough about the various possible types of life, and about the consequences of fiddling with fundamental constants, to work that out? We have a hard enough time figuring out and understanding our own universe, even though it is right here under our noses available for study. Isn’t it obvious that the things that come to be in a universe will be things that are highly characteristic of that universe? Things fitting exactly to their environment is exactly what you expect in a NON-intelligent situation – in the same way that puddles of water fitting their hole is the obvious consequence of a non-intelligent process like gravity. (3b) The occurrence of things for which their environment was NOT “just right” would be a far better indicator of intelligent intervention. For example, an animal in a zoo is indicative of intelligent intervention; an animal that fits perfectly into its ecological niche is not an indication of intelligent design, but instead is amply explained by non-intelligent processes such as evolution. Thus, if we found ourselves in a universe that was not suited to creating us then that would be far better evidence for intelligent intervention! (4) If the universe is one of myriad different universes, then intelligent life will only appear in those suitable for intelligent life. So the act of an intelligent life-form asking “why is the universe like it is?” will pick out those universes, even if they are a tiny, tiny faction of the total collection of universes. If there were 101000 universes then there needn’t be anything special about parameters that lead to life in order for there to be sentient life-forms asking that question, somewhere. For comparison, life as we know it can only exist on planets in the “habitable zone” range of distances from a star. Yet we don’t say that some intelligent agent must have ensured that Earth-like planets are only placed within that zone. Instead, we now know that planets are abundant around stars, and that these planets are strewn around with a whole range of distances. Thus some fraction end up, by chance not design, in the habitable zone. (5) Even if the universe were a one-off, so what? The things present in that universe would still be specific to that universe. In the same way, if you throw one dice a thousand times you create a highly improbable number (with a likelihood of only 1-in-61000, which is 1-in-10778). Would you argue that the universe had to have been fine-tuned to produce the number you’ve just got? Nope, there could simply have been some other number. The outcome would only be remarkable if there was something special about that number. So do you want to claim as an axiom that there is something special about intelligent life? You need to claim that, but if you do you’ve created an entirely circular argument. You start off with the axiom that there is something special about intelligent life – and guess what, you end up with the conclusion that the universe possesses the special property of intelligence (which you want to be the creator you are hankering after). But you’ve just assumed your conclusion in your axiom! Try repeating the argument without making any assumption that intelligent life is special – then you’d get nowhere. (6) And above all: your “creator” explanation gets you nowhere! It explains nothing. All it lands you with is something even harder to explain, even more remarkable, even more improbable. And trying to pretend that your creator god is not, actually, all that remarkable and doesn’t, actually, need an explanation, is a preposterous evasion. To which I would add, we don’t know where the future leads, so according to Twain’s analogy the history of life on earth is a Tower with unknown future growth potential, as well as unknown extinction potential. Humans could engineer themselves into something with far greater intelligence via biological or AI augmentation and look at our present day species and accomplishments like we look at Homo Habilis the stone chipper. Or AI supersedes us after it learns how to upgrade itself faster than we humans can upgrade our own species. Or, we devolve or become extinct after an asteroid or solar flare or global warming, and a different species evolves consciousness in the next billion years and imagines itself to be “the coat of paint on the top of a tower.” Or only bacteria are left on earth and the planet hobbles along until the sun expands and the remaining stars in the cosmos simply continue to burn for billions more years. This http://quasar.as.utexas.edu/anthropic.html is a more technical answer to the fine tuning argument that, quite honestly, I don’t understand completely. But the points I get are quite good, and it has generated a lot of counters from apologists. Richard Carrier’s essay on the fine-tuning argument in The End of Christianity is also quite good. I have a version I am attempting to edit into something more concise. POSTSCRIPT, WHAT IS THE MEANING OF LIFE? Or, why do Christians imagine we are here? If Christianity is true then we are here to convince others that one particular “church,” and/or, one particular collection of writings are divinely inspired moreso than any others. No other “church,” or, no other writings or passages found in any other books in the world are more important or more inspired by God than these. And we are here to convince others that there are a limited number of interpretations of those particular writings beyond which one much not suggest further interpretations, nor continue to ask questions, though some versions of Christianity permit more questions than others. And once one is convinced of that, one must go convince others. So we are here to sell each other beliefs, perhaps so that no one will be eyeing anyone suspiciously in the afterlife. In other words, life, the universe, and everything boils down to a heavenly pyramid scheme. You are a salesperson for Christ, and once you get your foot in the door you must continue pressing the sale until the other person has bought everything in the trunk labeled Christianity and then that person has to go round selling the same trunkful to others. If they don’t buy it, or if they only buy some of what’s in the trunk, it’s not enough. And the sales people go back to their retreat every weekend to get fired up by their sales manager, so they can go back out and continue selling, putting bumper stickers on their cars, putting up satellite networks, giving money regularly for evangelism. Or maybe everyone who believes their religion is the only true one winds up with blinder on their face or bags over their heads in heaven, just so that they can continue believing they and their fellow church goers are the only ones there? 1. The aim of the argument is simply to show that the existence of life – and in particular, intelligent life – in the cosmos, is best explained as the result of an act of Intelligent Designer. I did not claim that the emergence of Homo sapiens in particular, was planned by this Designer, as there’s nothing in the cosmos that appears to be peculiarly fine-tuned to our species. And I certainly don’t think the fine-tuning argument can be used to show that any individual’s existence was planned by the Designer. 2. In arguing for design rather than a random fluke as the best explanation, I appealed to a striking fact (fine-tuning) which would be very unlikely if the multiverse hypothesis were true, but quite likely if the God hypothesis were true. I then used Bayesian logic to infer that God was the best explanation. The important fact here is that fine-tuning is not merely an improbable fact, but a specified occurrence, which is much better explained by the hypothesis of Intelligent Designer Who wants to communicate the fact of His existence to His intelligent creatures, than by the hypothesis that our universe happens to be one of the relatively few life-bearing universes in the multiverse, since the latter hypothesis doesn’t predict fine-tuning. 3. Douglas Adams’s puddle analogy completely misses the point. If the contours of the puddle were to suddenly vary, the puddle wouldn’t have the same shape, but it would still be a puddle. The puddle’s existence is therefore not fine-tuned. The universe is different: if its parameters were to vary even slightly, it would no longer be a universe in which life could exist. You quote some scientists disputing this fact. I would invite them to read Dr. Luke Barnes’ paper, “The Fine-Tuning of the Universe for Intelligent Life”, which I referred to and quoted from, in my post. Dr. Barnes has done his homework. 4. While we don’t know for certain that the parameters of the cosmos can vary, physicists tell us that there’s nothing within their theories that fixes them. So for now, we should treat them as freely variable parameters. As to how many there are: British astronomer Martin Rees has written that there are “just six numbers” – but that’s enough for me to make my fine-tuning case, as they’re all exquisitely fine-tuned. 5. With regard to your questions as to why intelligent life is confined to a relatively small segment of space and time in our cosmos, I’ve answered this question in my post at http://www.uncommondescent.com.....-part-two/ . In short: the main reason why the universe is as big as it currently is that in the first place, the universe had to contain sufficient matter to form galaxies and stars, without which life would not have appeared; and in the second place, the density of matter in the cosmos is incredibly fine-tuned, due to the fine-tuning of gravity. Regarding age: One reason why we need an old universe is that billions of years were required for Population I stars (such as our sun) to evolve. Another reason is that if you want a massive universe, with lots of galaxies and stars, then it has to be large, and if it’s large, then it has to be old. A skeptic might still object that the classical description of God as a Being Who is simple (having no parts) and at the same time intelligent flies in the face of our experience that all intelligent beings are highly complex entities – a point which Professor Richard Dawkins deploys to great effect in his Ultimate Boeing 747 gambit. But this objection, I would argue, constitutes an illicit use of the principle of induction. It is difficult enough to justify inferences about other natural objects on the basis of objects which we have observed, how much more so when the Being we are talking about lies outside Nature, as its Author? God the Creator is on another plane of reality than we are, and we cannot make legitimate inferences as to whether an intelligent being on this plane of reality would have to be composite or not. In any case, my argument above for God’s existence did not attempt to prove that God is absolutely simple. Rather, what it tried to show was that God does not contain any parts whose interactions can be characterized by invariant propositional rules – in other words, mechanical parts, whose working can be described by mathematical formulae. I have not discussed the possibility that God might contain parts of some other sort.